My paternal grandfather, a former coal-miner, was buried in the same plot as his teenage son, who had died decades earlier of rheumatic fever. But I couldn’t find it: the cemetery was abandoned and overgrown and church records lost. A gravestone must have been too expensive for my family; then, when they might have afforded it, too low a priority. Years later I discovered by chance a literary text that dealt with the importance of remembering the departed. It was The Undertaking, by the American poet Thomas Lynch. Lynch’s extended meditation on the living and the dead cleverly avoids the macabre by offering both a way of facing the inevitable and the proposition that ‘where death means nothing, life is meaningless’. The corollary of that is the importance of memorial and remembrance. For, in addition to being a celebrated literary figure, Lynch is a funeral director, heading one of the biggest firms of undertakers in Michigan. He may be the only poet to have included the staff of a funeral parlour in the acknowledgements to a book. US poesy is replete with the avocational. 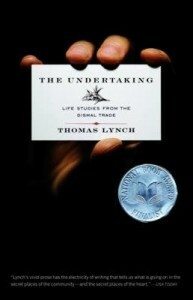 The Undertaking opens with a startling and matter-of-fact sentence: ‘Every year I bury a couple hundred of my townspeople.’ It soon becomes clear that Lynch intends mitigating the unspeakable not with gallows humour but with warmth, witty recollection, an unswerving eye, and philosophising. Here was a man who if not exactly having the measure of death could place it in the context of how the dead were prepared for a dignified leave-taking that included long-lasting remembrance. An employee, Wesley Rice, had stayed up all night re-constructing the shattered body of a girl murdered by a madman with a baseball bat. ‘What Wesley Rice did was a kindness,’ Lynch says. So, I had to be prepared for a description of processes normally shielded from the world by velvet drapes. Lynch doesn’t bleat about his inability to make the writing of poetry more important than the embalming of bodies. Even when he does write about it, the focus is on two of his friends and the poems they wrote as hymns to the power of love, especially sexual love, which is about as far away from the ‘careless’ and insensate dead as could be imagined. Most people, he reminds us, are not enamoured of death, funerals, obsequies, and undertakers, though in being also a poet he can doubly number himself among the exceptions. I’m sure my grandfather had a ‘good’ funeral, and Lynch’s still fanciful suggestion of how the dead and buried might be remembered would have made him smile. He envisages the Golfatorium, where punters can drive, pitch and putt on fairways beneath which the dead are buried in their thousands; and Cremorialisation, by which human ashes would be mixed with polymers and fashioned as objects related to the deceased: the hunter becoming a decoy duck, for example. Lynch reminds his readers that the expectancy of death is ‘a round 100 per cent’, about which the dead have no opinion. That’s droll. 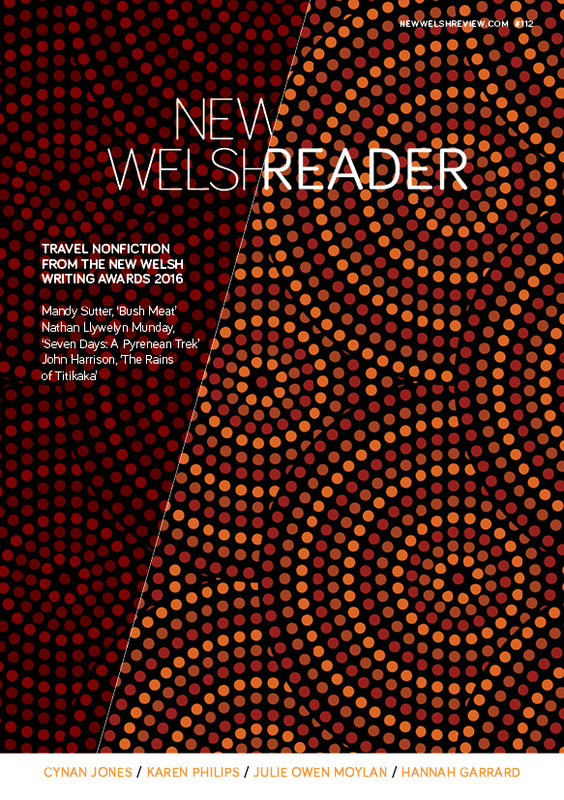 The violent and murderous one Wesley Rice dealt with echoed in another place and at a different time – an industrial valley in south Wales, and the onset of the Great War. My grandfather daily ‘came to dust’ and once used the word ‘murderous’ to describe his time at the face. Whether or not in those impecunious times some Gwalian counterpart of Mr Rice would have bothered to restore a miner’s broken body following a rockfall is debatable. But, after reading Lynch’s book, I was sure its author would wish my grandfather to have been remembered by something enduringly lapidary rather than fading testimonies. Nigel Jarrett won the inaugural Templar Shorts Award. His latest title is a short-story pamphlet, A Gloucester Trilogy, forthcoming from Templar.